LED Vanity light is a perfect architectural light which delivers uniform light & does not produce any dark shadow. Elegant in appearance , excellent heat dissipation, long life, reduced maintenance costs, energy efficient, environmentally safe construction (no lead or mercury). Overdrive Vanity fixtures are Energy star approved, light-weight, and designed for easy installation. 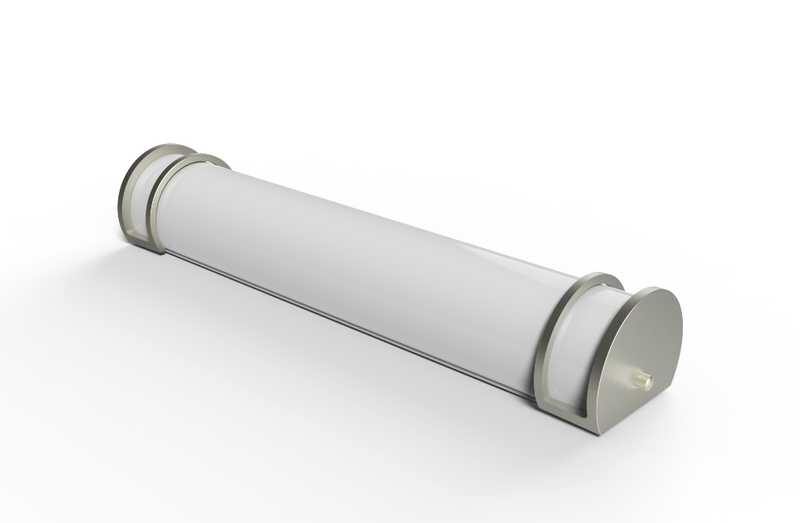 Overdrive Vanity fixture generates significantly less heat compared to a typical incandescent fixture and helps to keep the bathroom cool due to integrated LED light source.Produces 1600 lumens light output and has 50,000 life hours.